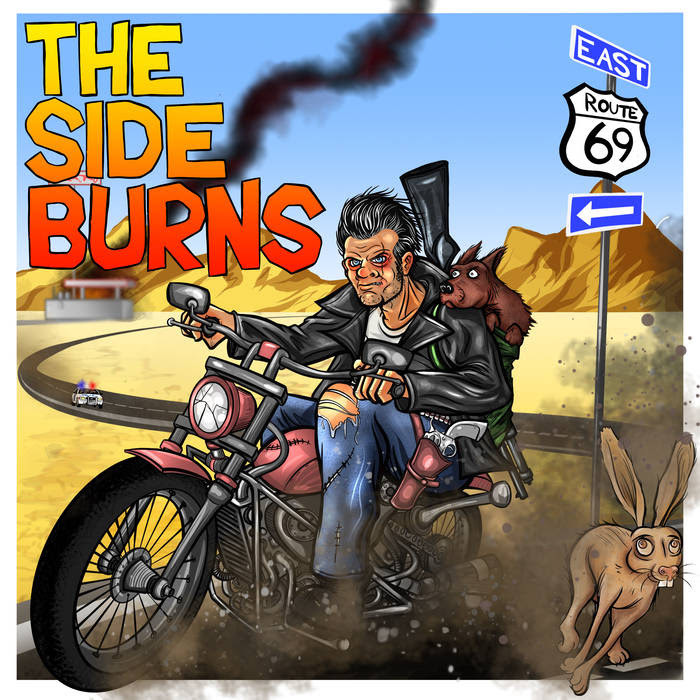 Hong Kong trio The Side Burns released their self-titled album earlier this month. The 10 brash and unforgiving tracks, which were recorded live at Avon Studios in February, remain constantly on edge and unhinged. Album opener Shotgun instantly sets the tone with tremolo-laden guitars painting a country western-inspired backdrop, soon accompanied by a country punk beat from Phil D. Emond. The choruses are packed with “Woah-a-woah”s before the tremolo guitars begin to collide against one another, in an arresting crescendo. The tremolo guitars feature heavily in other tracks too. Heart of Gold rings out over sweetly strummed acoustic guitars, much in the vein of Black Rebel Motorcycle Club’s And I’m Aching, while hefty closer Sixty Nine channels a gritty brit-rock vibe, which switches from a swung rhythm to a straight driving pattern, as clashing saxophone solos fight against the barrage of music. Midnight also features similar guitar tones (minus the tremolo), but the drums are more splashy and cymbal based, and Zaid Samman’s are at their most theatrical, with dashes of echo added sparingly. Couch Surfing is acoustic-based, and the shortest track by far, featuring some hastily drab lyrics “I spend my life buried on the couch, there is no food for my mouth”. This depressing portrayal is juxtaposed with a plodding Smiths-like bass line from Paul Thompson, and an upbeat rockabilly beat. The outro shifts into almost anthemic territory, and is tragically cut short. Further still, it could have even been better served as an unsuspecting yet triumphant chorus. Last Time I Saw You and Coffee Stains & the Good Time Girl offer enough variety to keep the track listing interesting, both of which utilise a slower tempo, and a more blues-centric feel. Elsewhere, Spill Your Guts and Tow the Line are equally rampant and lively, with only an organ solo to set the tracks apart, while Sting Like a Bee remains similar too. Rhythmically it is more swung rockabilly than its predecessors, and the gang vocal chorus “punched me in the head” give a nod towards bands like Bowling For Soup or NoFX. It is impossible to review Samman’s vocals on a song to song basis, as his gruff vocal is somehow unpredictably playful, while illustrating a pained character, or cliché rock n roll boozer. His almost ugly and ill-timed phrasing conjures up images of The Pogues’ Shane MacGowan reincarnated in the deep south. If you can picture it, then you’re almost there. While this album is rhythmically and vocally repetitive at times, the guitar work and adrenaline-filled energy of the band captures an exciting sound which doesn’t outstay it’s welcome.